A Guernsey-Sunrise High School student’s harrowing experience on the wrong end of a gun earned her the top prize at the American Dream Essay Contest. 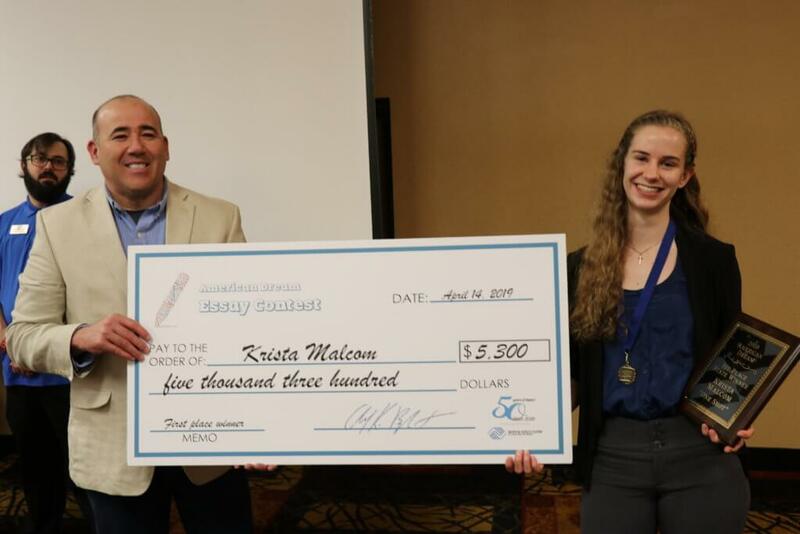 Krista Malcom received a total of $5,300.00 for her essay titled “One Shot”. Her writing told of how she changed a terrifying experience of having a gun pressed against her forehead into a new outlook on life and living each day with courage. Malcom’s essay was chosen as the winning entry out of more than 800 essays submitted in the statewide competition. 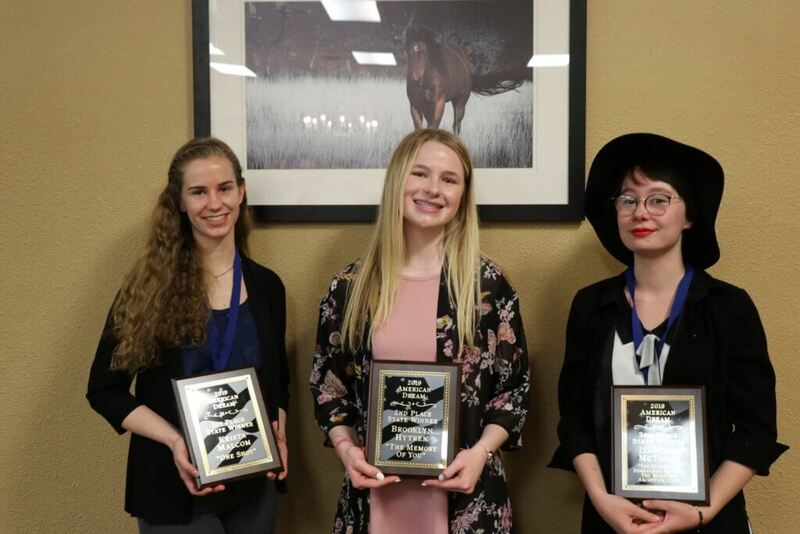 Brooklyn Hytrek from Natrona County High School in Casper received $3,300.00 for her second place essay and Izabella McTague from Worland won $2,300.00 for her third place essay. The awards were handed out Sunday in Casper. The American Dream Essay Contest is centered on bestselling author, Jim Owen’s “Ten Principles to Live By,” as highlighted in his book Cowboy Ethics. 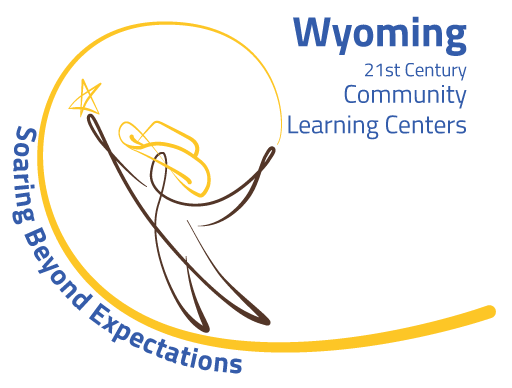 Every high school and homeschool student in grades 9-12 is invited is invited to participate by reflecting on the ten principles and writing an essay based on their own personal beliefs or guiding forces. A total of 822 students, representing 26 schools, participated in this year’s contest. Monetary awards are given for first, second, and third place winners on the local level. 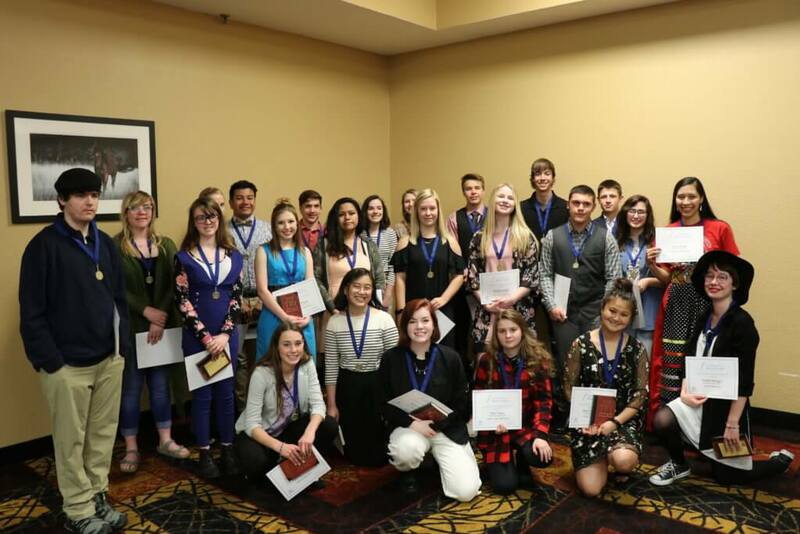 The first place winner from each school is forwarded to the state competition where their essay was evaluated by a separate panel of judges to determine the state winner. The top essay wins $5,000.00 cash, second place receives $3,000.00 and third $2,000.00. Sponsoring teachers also receive monetary incentives for participation and a prize if their student’s essay wins at the state level. More than $38,000.00 was awarded in prize money.